Disney and Urban Decay have teamed up again for another exciting collaboration. 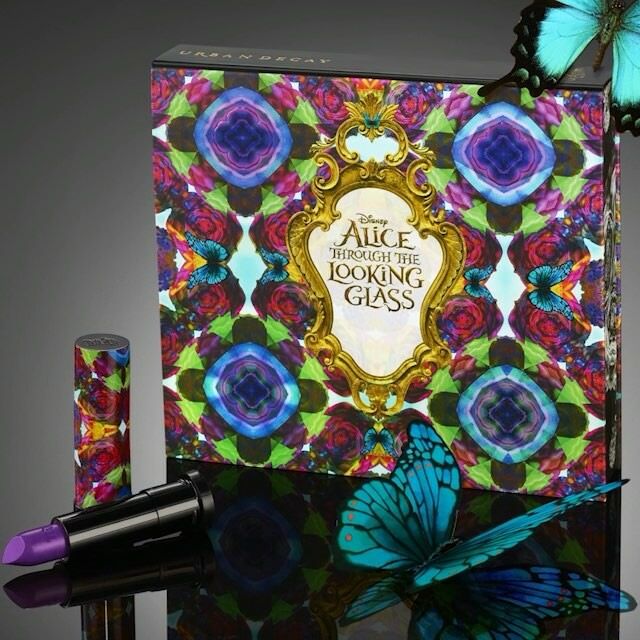 Their second Alice in Wonderland themed launch will be a six-piece makeup collection, put together for the upcoming Alice in Wonderland sequel, Alice Through the Looking Glass. 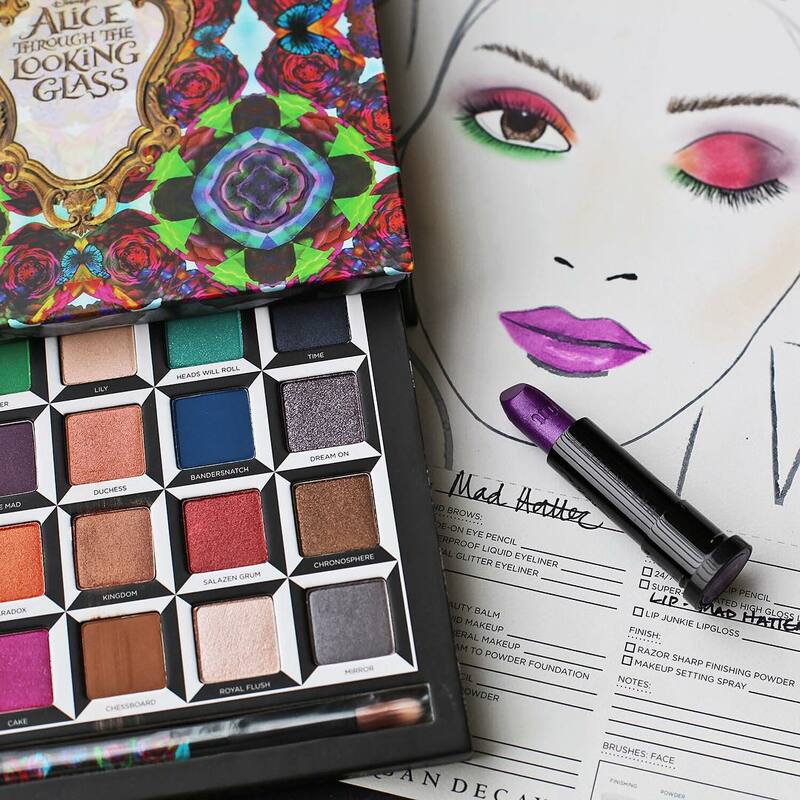 The Urban Decay Alice Through the Looking Glass collection includes a new, limited edition, large eyeshadow palette and five new, limited edition lipsticks. This collection has been inspired by the upcoming film release of Disney’s Alice Through the Looking Glass, which will air in cinemas from 27th May 2016. 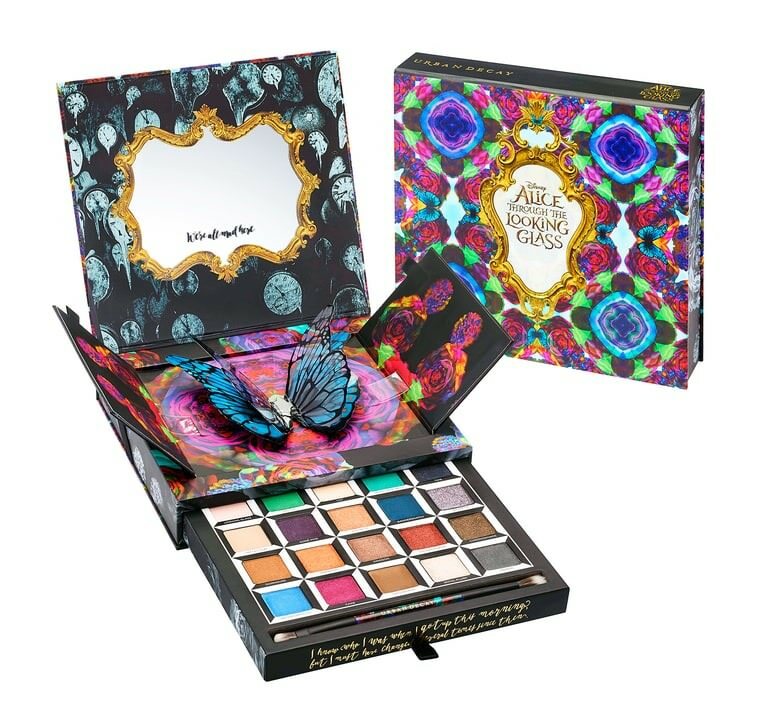 The Urban Decay Alice Through the Looking Glass eyeshadows are housed in a pop-up palette with a geometric, kaleidoscope design and beautiful gold calligraphy of the original Alice text. 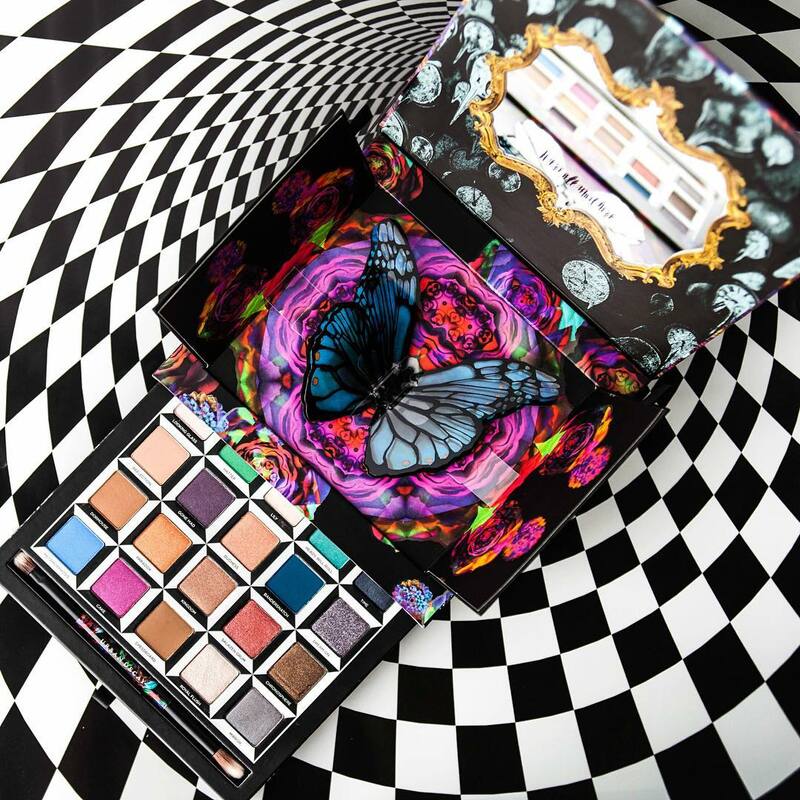 The 20 different shade names of the Urban Decay Alice Through the Looking Glass Palette are Looking Glass, Hatter, Lily, Heads Will Roll, Time, Reflection, Gone Mad, Duchess, Bandersnatch,Dream On, Dormouse, Paradox, Kingdom, Salazen Grum, Chronosphere, Metamorphosis, Cake, Chessboard, Royal Flush and Mirror. Perfect for colour lovers this tribute to our favourite characters is stunning. The shades are arranged in columns by character in this collectible palette so you can match the columns up for a beautiful look or be daring by mixing up the shades. As you can see there are softer shades as well as bold and metallic colour in the set. Whilst the Urban Decay Alice Through the Looking Glass palette is beautiful and magnificent it probably isn’t a portable palette. 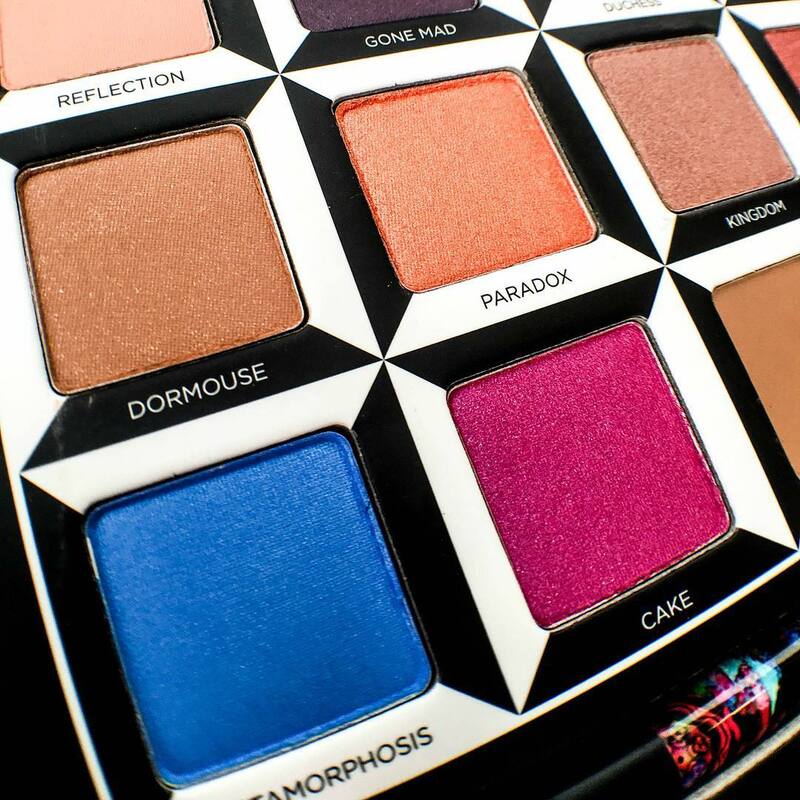 The Urban Decay Alice In Wonderland Palette is £45. 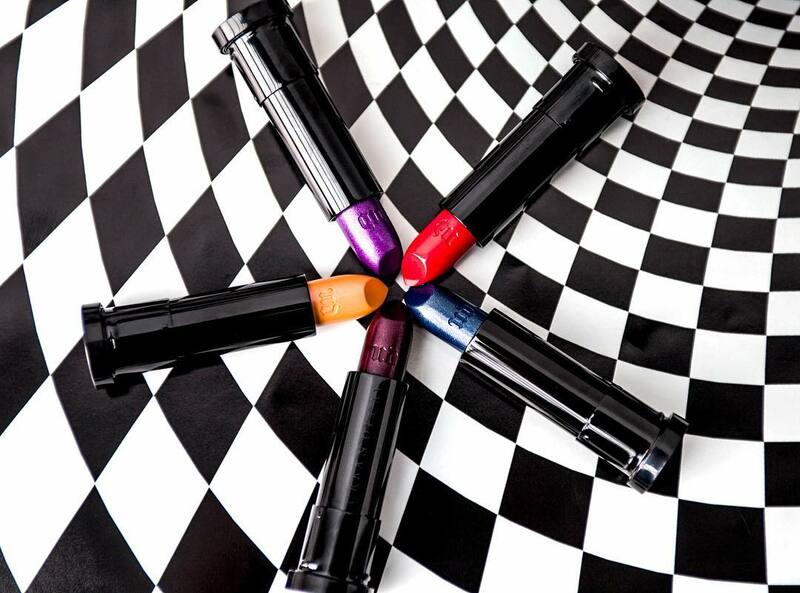 The limited edition Urban Decay Alice Through the Looking Glass lipstick shades are named – Alice (gold), Mad Hatter (lavendar), Mirana (burgundy), Iracebeth (scarlet) and Time (gunmetal). 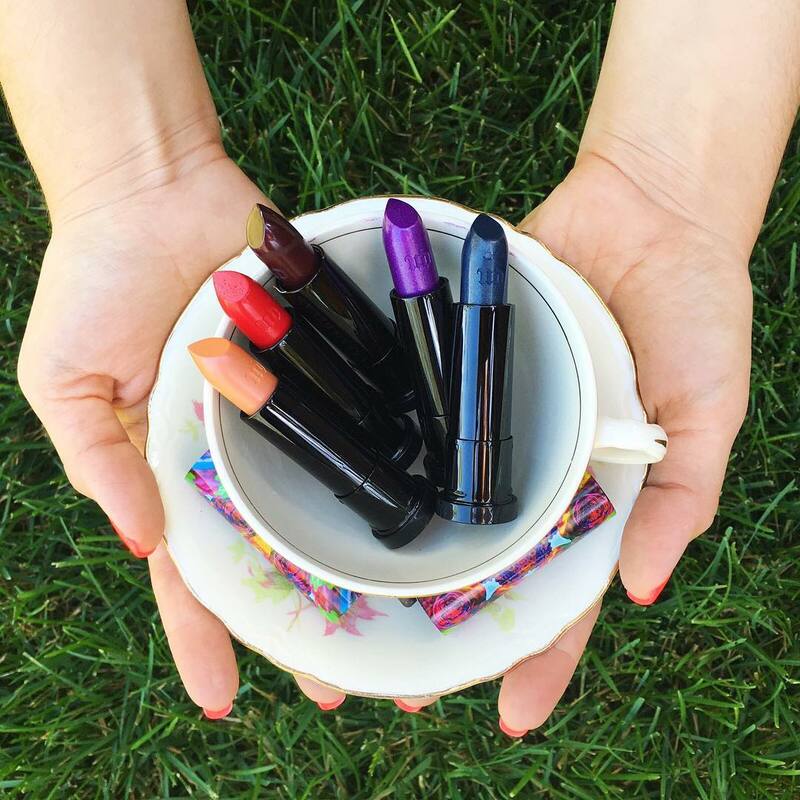 The lipstick shades are bold but still wearable and are £16 each. This collection launches in stores in May, the entire collection will be available on May 1st 2016 online at Urban Decay and also at Sephora, Macy’s, Ulta, and Beauty.com.